The 7th annual Travis Price Classic (TPC) Charity Golf Tournament in support of Camp Manitou was another great success and featured a fun, not always sunny, filled day of golf, and catching up with old friends. This was the second year the True North Youth Foundation’s Camp Manitou has been the beneficiary of the Travis Price Classic golf tournament. 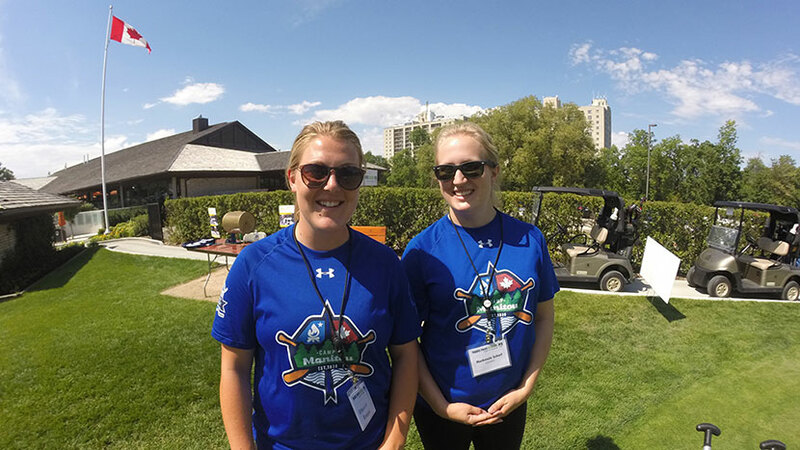 Camp Manitou was on hand at the putting green where golfers showed off their putting skills with either a hockey stick or canoe paddle. The True North Youth Foundation was well represented on the course with the Chairman of our Board, Mark Chipman, Executive Director Dwayne Green, Winnipeg Jet, Mark Stuart and 24/7 InTouch Founder & CEO, Greg Fettes. The proceeds from this year’s tournament are already being put to use at Camp Manitou, with great additions to the facility that significantly upgrade programming for both the summer and winter. Future capital projects that will be completed with Travis Price Classic funds include: constructing 10 individual, all season cabins, a new sports court and low ropes course. THANK YOU to all 145 golfers, 43 volunteers, over 156 sponsors and the organizing committee for all of their efforts! Their support helped to raise over $220,000 to the True North Youth Foundation’s (TNYF) Camp Manitou! Next years tournament has been set for August 21, 2017 at Niawka Golf Course!